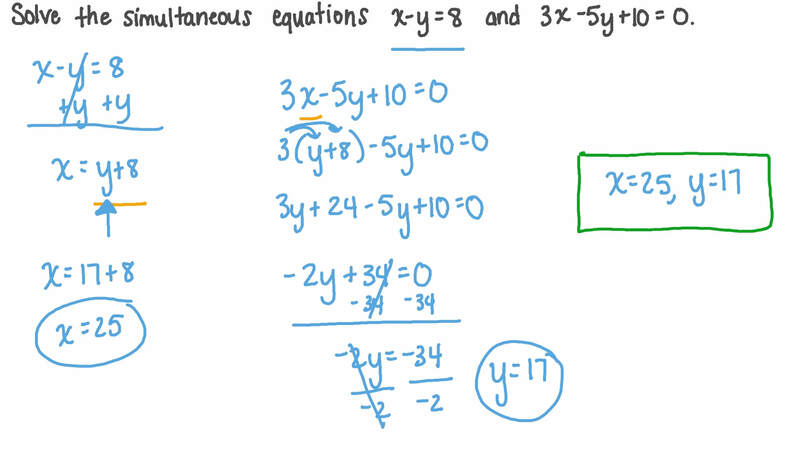 In this lesson, we will learn how to solve systems of linear equations using elimination. Solve the simultaneous equations 𝑥 − 𝑦 = 8 and 3 𝑥 − 5 𝑦 + 1 0 = 0 . Solve the simultaneous equations 𝑥 + 𝑦 = 6 and 𝑦 − 1 9 = 0 . 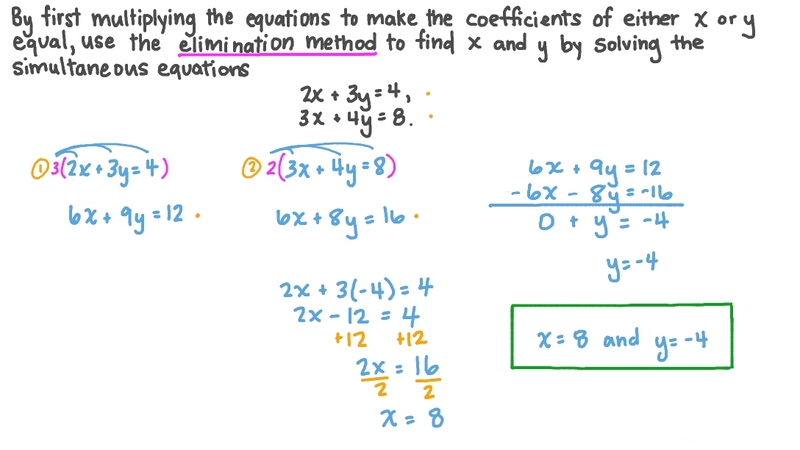 By first multiplying the equations to make the coefficients of either 𝑥 or 𝑦 equal, use the elimination method to solve the simultaneous equations to find 𝑥 and 𝑦 . 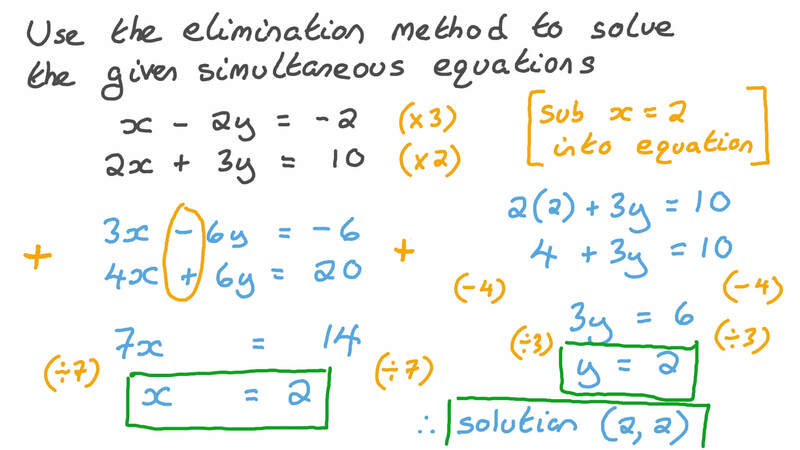 Use the elimination method to solve the given simultaneous equations. Solve the simultaneous equations 𝑥 6 + 𝑦 6 = 1 and 𝑥 6 + 𝑦 9 = 1 7 2 . Given that ( 𝑥 + 𝑦 , − 9 ) = ( 5 , 𝑥 − 𝑦 ) , what is ( 𝑦 , 𝑥 ) ?